I went to Target over the weekend and was planning to show you all the good stuff they have. Well, that didn’t happen because I only found one thing. No, not those adorable large photos. No, not that beautiful pothos plant in the background. Friends, I’ve been waiting for the perfect rug for this space and I finally found it. And guess what? It’s an OUTDOOR rug. Want to know the best part? It’s a great price and it’s on sale right now. I know what you’re thinking - outdoor? Let me explain. It’s perfect for high-traffic areas. Let’s face it, our living room is one of the most used rooms in the house. Two adults, a baby and two large dogs - we are constantly using the rug in the living room. 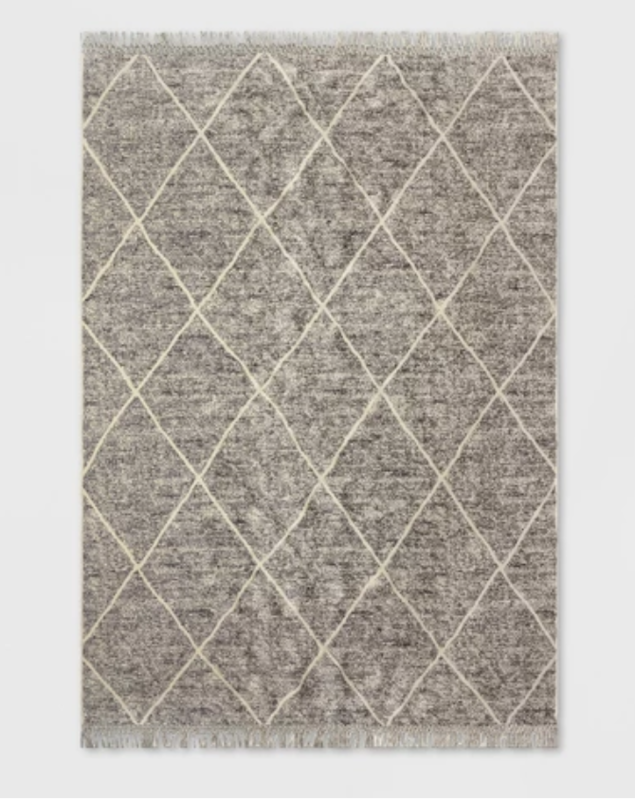 Because this rug (and most outdoor rugs) is made from polypropylene, it can handle stains better than most indoor rugs. What if you do get a stain? No problem. Use a damp cloth, or take it outside and hose it down - because it’s light weight it will dry quickly. They can be stylish, too! 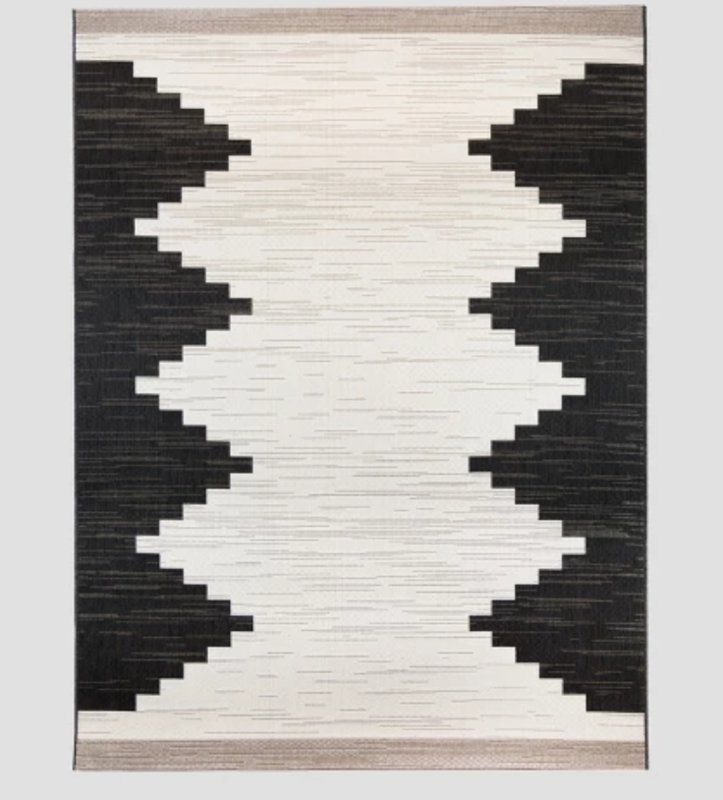 Outdoor rugs come in a ton of patterns and colors. And, because they are relatively inexpensive, you can keep up with the latest trends! They are softer than you think! I’ve walked on our rug without socks, the dogs lay on the rug, our daughter crawls around on it. You would never expect it to be an ‘outdoor' rug with the way it feels. Loved this post? Sign up for the free newsletter and get it delivered right to your inbox! Older PostTop 5 must haves for traveling with a baby/toddler.